It is really important to know who you’re working with…so here’s a little snapshot of the Lovebird Weddings team. We look forward to hearing from you soon! If you’re keen to touch base with us, why not fill in our online briefing form here. Otherwise, come in and meet our team. We have a head office in Coolum Beach and always happy to meet with brides and grooms wanting to learn more about us and what we do…and of course, we are always keen to hear your love story. Click here to learn more about our Brand Values. Lovebird Weddings was created by Trudy Croad. Trudy has been planning and styling weddings and events for the past 20 years, previously in the media and celebrity landscape, and for the past decade, through her brand Lovebird Weddings. 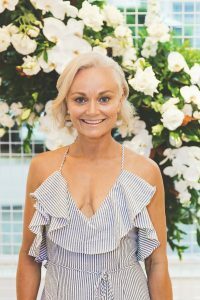 Trudy has an Honours Degree in Business Management, and prior to event planning, she had another career in Marketing and Media Research, working both in Australia and London. She has worked for some of the world’s most exciting media brands including: Elle, Marie Claire, InStyle, Frankie, The Face, Elle Decoration, Better Homes and Gardens, Bride to Be, Heat!, Who, Smash Hits, Q, FHM, Smith Journal, Mens Health…to name just a few! 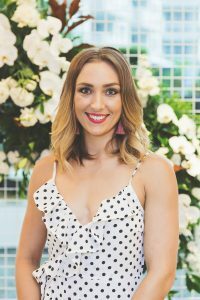 In 2008 she moved from Sydney to Noosa, launched her dream business, and in the past 11 years her business has planned and styled more than 600 weddings. Trudy currently manages the marketing and communication of the business, and all strategic business planning elements. Trudy also manages Wedcoach, a software development company to creating leading wedding system technology. Trudy works with mentors Siimon Reynolds and Brian Sher to further hone her entrepreneurial skills. Trudy has a 4 year old daughter Nathalie, lives in Noosa, and loves…my family and friends, travelling and exploring, the beach, music, working out, dancing, love stories, sunshine, flowers, beautiful furniture! 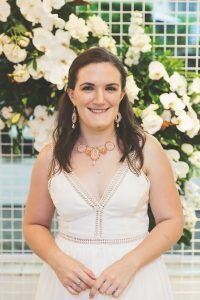 Sarah has been with Lovebird Weddings since 2013, and has progressed rapidly through the business, recently promoted to General Manager of weddings. She manages all the logistics at Lovebird Weddings, is responsible for staffing, manages all enquiries and looks after our luxury planning and styling clients. Sarah is a natural stylist, with a flair for colour and design work. Sarah is 27, and in 2016 married her long-term love Rikki – you can take a sneak peek at her wedding in the Hinterland Weddings section of our website. She loves…her husband, family and friends, being creative, good food and wine, travelling, cooking and crossfit. Chloe joined our team in March 2017, and has wowed us already with her amazing flair for contemporary styling. She is currently designing our new office and showroom space. Having spent the last few years in Bali, organising luxury weddings at some amazing venues, Chloe comes from a background of wedding and event planning and styling, and has a real eye for the detail. Chloe is also our social media genius, and looks after our Instagram, Facebook and Pinterest pages. She also looks after with care and attention our luxury planning and styling clients. Chloe is 26, and loves …the beach, travel and adventure, fashion, music, spending quality time with her friends and family, good food and wine. Jenny was employed in 2017 as our Warehouse Manager, and looks after one of the most important aspects of our business…the preparation of our décor. For this, we needed someone with incredible attention to detail, which Jenny has in bundles. Jenny is an established fine artist, painter, and creative designer, and is also one of our stylists working with both Sarah and Chloe to create the wedding designs on the big day. Jenny creates all of the signage for our clients. Jenny comes with a wealth of event management experience, having worked for 8 years at one of Scotland’s most premium event design and production companies…with high profile clients and brands, where events took up to 6 weeks to bump in. Jenny is 32, and loves… drawing, crocheting wire jewellery, being creative, walks exploring nature, animals and flowers, and spending quality time with loved ones. Holly has recently joined Lovebird Weddings this year, and assists Trudy and her team with marketing and styling. 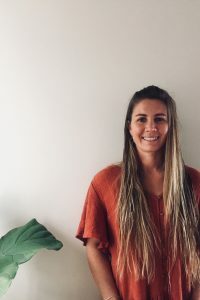 Holly has recently graduated from the University of the Sunshine Coast, where she majored in Event Management & Marketing. Prior to completing her studies Holly spent a lot of time travelling, and visited a number of places throughout Europe, America, Indonesia and Mexico. Her most memorable travel moments are diving with sharks in The Bahamas, and surfing in The Maldives and Mentawai Islands with friends. Holly is 28, and loves… surfing, travelling, hiking, and spending time with her partner, friends, and family. 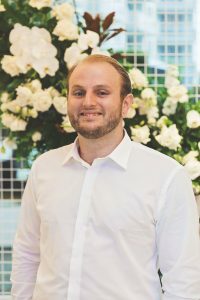 Zeb started with Lovebird Weddings in 2016, and heads up our pack down team. These guys really are due major credit, as they are the ones getting up in the middle of the night, usually on Friday and Saturday nights, and heading back to our amazing venues to pack down our weddings. Zeb has been an instant hit with our venues, always smiling and friendly, and our business just wouldn’t kick on without the amazing contribution of our pack down staff. Zeb loves fishing, good food and coffee, spending time on the beach, friends and family. The Lovebirds team is a passionate group of artists, stylists, planners, and lovers of love stories.